PETALING JAYA: The defence ministry (Mindef) says it takes a serious view of media reports that 30 individuals were barred from voting in the PKR polls on Sunday as they were believed to be military personnel. Mindef, however, said in a statement that the information in the media articles seemed to contradict a police report lodged by a party worker. “A total of seven individuals accused of having militarty identity cards or ‘phantom voters’ were investigated by the police. Initial information obtained found that the seven individuals were not members of the military,” it said. Mindef, however, said it took a serious view of the allegations that military personnel were involved in the party polls. “As police reports have been made, the ministry will wait for the results of the investigation by the federal police. “If it is true that any military personnel was involved in the incident, disciplinary action will be taken in accordance with the provisions set out in the Armed Forces Council Order No 3/1972,” it said. Under the Armed Forces (Terms of Service of Regular Forces) Regulations 2013, members of the armed forces are prohibited from taking part in active politics. According to the act, members found to be involved in politics can be removed from their duties. Police have since arrested seven men for attempting to cheat in the PKR elections including through the use of fake documents. Wong said she had called for police intervention after the situation turned chaotic at the Petaling Jaya Utara voting centre. PKR election committee chairman Rashid Din said the chaotic situation was mainly due to a misunderstanding, but defended Wong’s action. 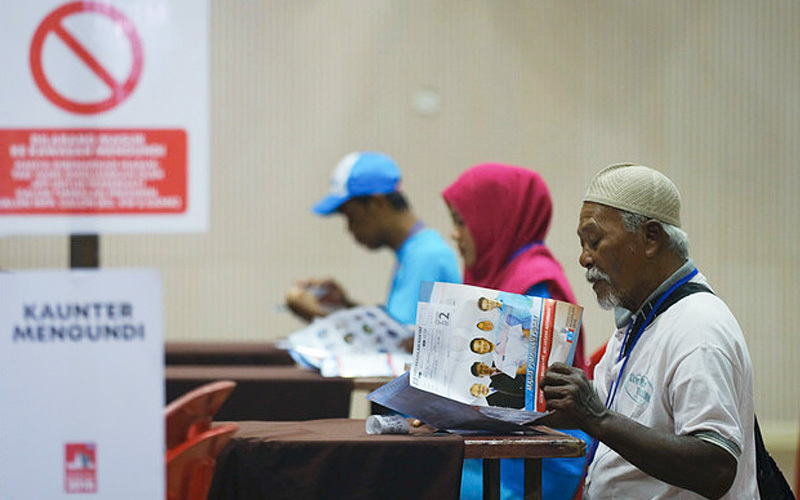 The second round of PKR party polls in Selangor was held over the weekend. There were chaotic scenes in three divisions, mainly due to allegations of cheating as well as impatience due to long queues. Video clips of disturbances at polling centres for the Puchong, Gombak and Petaling Jaya Utara divisions had also made the rounds on social media.